Enpedia.net | Start a business you can do with yourself. But, when you want to scale up a business, then it's hard to do by yourself. You need to recruit employees that will help you grow your business. 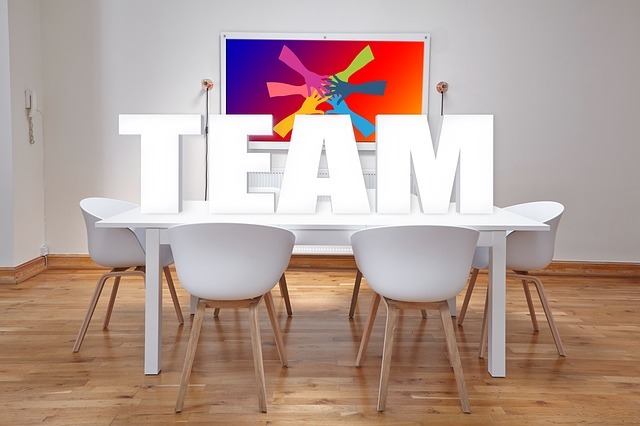 The question arises, what are the appropriate employee criteria to be your work team? You can see the answer in the following five criteria. Honesty is at the top in selecting your team members. That's because the human consideration is of honesty. It's very influential if they become members of your work team. Certainly easier to work with honest and trustworthy employees, especially employees who are in the finance section. The above proves to illustrate how important the meaning of 'experience' in life. When connected regarding the selection of team work members, then choose an experienced employee candidate. However, pay attention to the experience your prospective employees have, whether relevant to your business - or not. With the experience of your potential team members, there is not much you have to explain about their duties and responsibilities. Let their experience be 'natural' to be a 'guide' in carrying out their work tasks. If you choose employees with a good attitude, then the working atmosphere will be more comfortable. The employee will quickly blend in, either with his/her boss - or other co-workers. Working atmosphere like this is expected to always be in your company. Why are education and knowledge under the criteria of honesty, attitude, and experience? You must understand. Education and intelligence of team members are important, but not the most important. There are many criteria for prospective employees who get priority, such as honesty, experience, attitude, mentality, and character. What does it mean to have an employee whose education and intelligence are good, but experience and attitudes are bad? Especially if he is not honest (often lie), then do not ever recruit such team members (even though the employee is smart). Dedication of potential employees can be assessed from his/her motivation in applying for a job. If the motivation 'just wants to find experience,' then do not choose a candidate member of this work team. Conversely, if the motivation 'intends to support his/her family's life,' then this type of employee will be more 'serious' for his/her work. In addition to looking at the motivation of the prospective employee, you will be invited to join; you should also consider - whether the potential employee has a desire to grow with the company - or not. If yes, then you can consider the prospective employee to be part of your work team. A businessman is always focused on thinking about the growth of his/her company's business. But he/she sometimes forget that choosing team members also need to be paid attention. Always keep this in mind! Choosing the right team members also influences your company's future development.